Lyft exceeded market expectations with its initial public offering (IPO) on Thursday, raising $2.34 billion and fetching a valuation of $24 billion. Lyft Inc has been challenging larger ride-hailing rival Uber Technologies Inc for years by cultivating an image of caring more for its drivers, riders and the environment. As the company debuts in the stock market on Friday, it hopes to convince investors the "nice guy" image will pay off. "In the early days, people misunderstood, 'Oh you guys are the nice guys. You guys are going to get crushed by a more competitive player," Lyft President and co-founder John Zimmer told Reuters. "We said, 'No, we're very competitive but treating our employees well, treating our drivers well, treating the local communities that we work with respect, which is also very good for business." That is still a fraction of the $120 billion valuation that investment bankers have told Uber it could wind up with in its IPO in April, thanks to its international presence and expansion into sectors such as food delivery and freight hauling. Despite its bigger size, Uber has evolved in lock-step with Lyft, adding new types of rides like car-pooling, changing fares investing in autonomous vehicle development and adding scooters and bikes. As a result, Lyft and Uber look a lot alike. Both companies have been losing money, subsidizing rides to boost market share. But Lyft has been making inroads against Uber in the United States, boosting market share to 39 percent as of December from 35 percent in early 2018. Some of Lyft's gains are due to Uber's woes. The latter is still recovering from a series of scandals in 2017, including allegations of sexual harassment made by female employees, the forced resignation of its chief executive officer and the departure of other senior executives, and its use of illicit software to deceive regulators. A #DeleteUber campaign surged on social media. The negative publicity helped Lyft attract new drivers and riders without spending much on marketing. Lyft, which operates in the United States and a few Canadian cities, also moved to boost its market share, adding more than 100 new cities since 2017. It targeted socially conscious millennials who are concerned about harming the environment by owning a car. "We have barely scratched the surface of helping shift the world from a car ownership model to a transportation-as-a-service model," Lyft's CEO Logan Green, who is also a co-founder, told Reuters. Lyft's branding as a warmer, more caring alternative to Uber dates back to its launch in 2012. It borrowed marketing strategies from Southwest Airlines Co and Starbucks Corp, hoping to portray itself as friendly and customer-centric, and likened itself to the championship Golden State Warriors pro basketball team, according to Lyft executives. Anna-Marie Wascher, CEO and founding partner at Flat World Partners, an institutional advisory and asset management firm and early Lyft investor, said market share growth came as "consumers were being more discerning in their choices," and recognizing the gulf in company culture and values between the two firms. 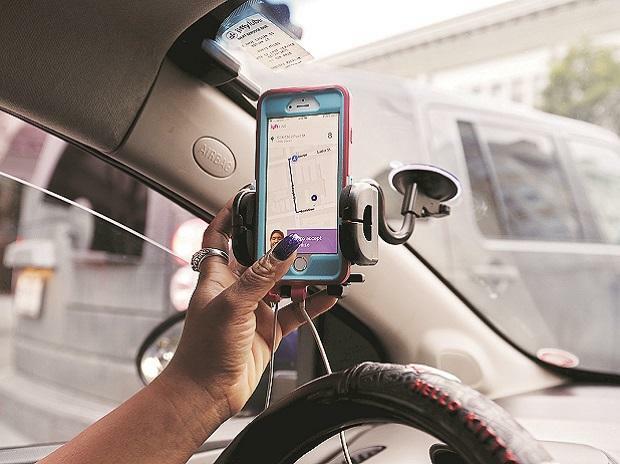 While some Lyft riders have turned into loyalists as a result of its branding efforts and Uber's problems, many say they still pick the app with the lowest price. "(My choice) is based on price and estimated time of arrival. But I would say price is the main factor," said John Nickele, who owns a bicycle in San Francisco and spends about $30 a week on Lyft and Uber. Both Lyft and Uber have been criticized for causing congestion in cities and creating hazards to bicyclists and pedestrians. A study by the San Francisco County Transportation Authority found that about half of new congestion in San Francisco from 2010 to 2016 was from ride-hailing. Lyft said this week it will provide at least $50 million per year to cities to support transportation infrastructure, fight climate change and provide free rides to those in need, such as victims of natural disasters. The first project will be in Los Angeles, where it will offer rides to individuals who provide services to the homeless. Lyft's and Uber's relations with their drivers are not without strain. Lyft drivers this week held protests in San Francisco and Los Angeles over what they call wages that are too low to survive on. The company also faces a slew of arbitration claims and lawsuits from drivers who claim they are misclassified as independent contractors and owed back wages and reimbursement for expenses. Zimmer told Reuters he believes the company's ongoing work supporting drivers will help it stand apart from Uber. He said he still attends meetings with drivers to hear their grievances and exchanges texts with them.